Black Friday weekend is a hectic time. You’re trying to drive traffic to your store. 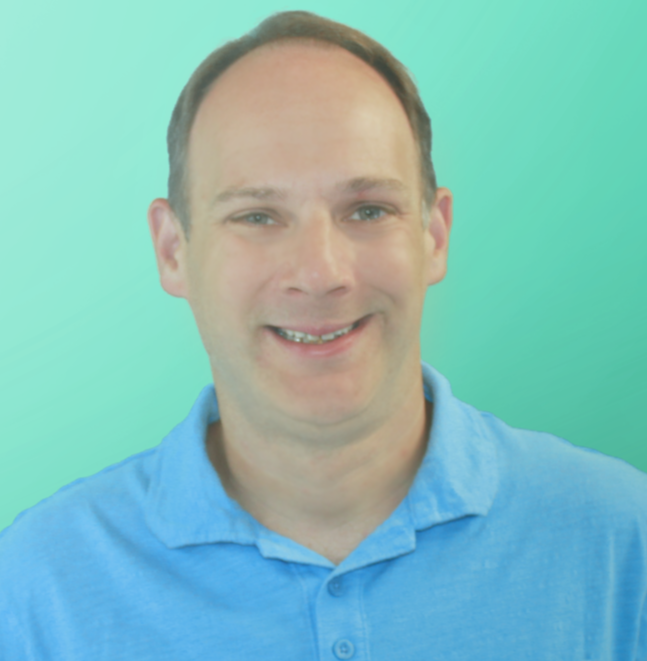 You want to convert as many people as possible to subscribers and customers. And you want to create as much urgency as possible for people to act now. If you’re like most merchants, you’re using some sort of sale or special offer to drive action, like 10% off your order or free shipping on all orders over a certain amount. These types of offers work really well for capturing new email addresses and are highly recommended by the team here at Privy. The next question you need to ask is whether that discount should be delivered using Master Coupon Codes or Unique Coupon Codes. What is the difference between a Master Coupon Code and a Unique Coupon Code? A master coupon is a single coupon code that is given to all individuals that sign up for your Privy campaign. Specifically, this means that if you have two customers sign up, they will both receive the exact same coupon code in your thank you page and/or autoresponder email. The advantage of this coupon type is that it is simpler to manage and you can use the same code in multiple campaigns and promotions. One possible drawback, however, is that a Master Code can be more easily shared to people who did not subscribe to your list and there are limitations to the criteria you can apply to the code. A Unique Coupon, on the other hand is a coupon code that is assigned to one and only one person when they sign up. As an example, if customer A and customer B sign up each will receive their own code which would not be transferable between them even though their discount is the same. We recommend using Unique Coupon Codes in your displays and automated emails whenever possible for two reasons. First, Unique Coupon Codes dramatically reduce the amount of risk involved in putting a discount code out in the world because each code can only be used one time. That means that the only one who can share the code is you, not some random website or customer social post. Second, you have more flexibility in how you handle code expiration dates. Instead of just setting an end date for your sale you can use relative time and date windows to drive urgency and action on your site. For example, if someone abandons their cart you may want to include a unique code that expires 48 hours after they abandon. Or you may want to set a new shopper discount to expire 7 days after they first join your list. 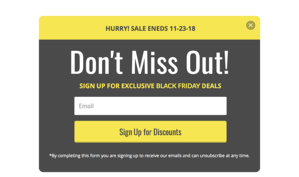 So, when you are building your Black Friday campaigns think about how much control you want to have and how you can drive urgency with short window discounts using Unique Coupon Codes. Learn more about how to get your store ready for Black Friday on our Holiday Resources page.